The grass carp (Ctenopharyngodon idella) is the species of fish with the largest reported production in aquaculture globally, over five million tonnes per year. It is a large herbivorous freshwater fish species of the family Cyprinidae native to eastern Asia, with a native range from northern Vietnam to the Amur River on the Siberia-China border.This Asian carp is the only species of the genus Ctenopharyngodon. It is cultivated in China for food, but was introduced in Europe and the United States for aquatic weed control. 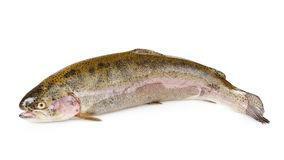 It is a fish of large, turbid rivers and associated floodplain lakes, with a wide degree of temperature tolerance. Grass carp will enter reproductive condition and spawn at temperatures of 20 to 30 °C. 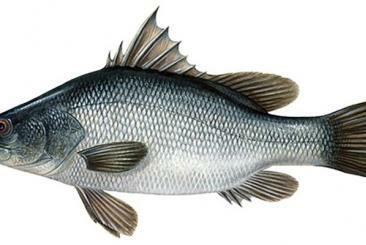 In the United States, the fish is also known as white amur, which is derived from the Amur River, where the species is probably native, but has never been abundant.This is not to be confused with the white Amur bream (Parabramis pekinensis), which is not a particularly close relative. The European sea sturgeon (Acipenser sturio), also known as the Atlantic sturgeon or common sturgeon, is a species of sturgeon previously found on most coasts of Europe. It is anadromous and breeds in rivers. It is currently a critically endangered species. Although the name Baltic sturgeon sometimes has been used, it has now been established that sturgeon of the Baltic region are A. oxyrinchus, a species otherwise restricted to the Atlantic coast of North America. The wedge-shaped head of the European sea sturgeon ends in a long point. There are many sensitive barbels on the facial area. The dorsal fins are located very far back on the body. 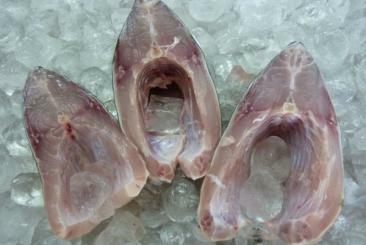 Five longitudinal lines of large osseous plates are found on the body of the fish. The stomach is yellow and the back is a brownish grey. Carassius carassius is a widely distributed European species, its range spanning from England to Russia; it is found as far north as the Arctic Circle in the Scandinavian countries, and as far south as central France and the region of the Black Sea. Its habitat includes lakes, ponds, and slow-moving rivers. 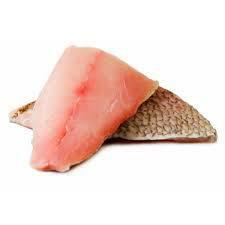 It has been established that the fish is native to England and not introduced. 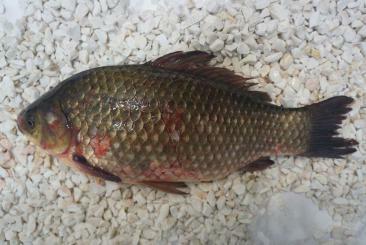 The crucian carp (Carassius carassius) is a medium-sized member of the common carp family Cyprinidae. It occurs widely in northern European regions. Carassius carassius is a widely distributed European species, its range spanning from England to Russia; it is found as far north as the Arctic Circle in the Scandinavian countries, and as far south as central France and the region of the Black Sea. Its habitat includes lakes, ponds, and slow-moving rivers. 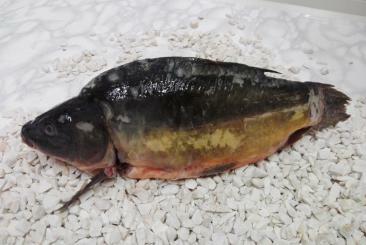 It has been established that the fish is native to England and not introduced. Salmo obtusirostris is found naturally in four drainages of the Adriatic Sea, in Croatia, Bosnia and Herzegovina and Montenegro: the Neretva-Vrljika system, the Jadro, the Morača-Zeta system and the Krka river drainages. In addition, sometimes during 1960's, it has been introduced from the Jadro river to nearby the Zrnovnica river, both small karst, single river drainage, of very short course, in vicinity of city of Split. Although the Vrljika belongs to the Neretva River drainage it's a sinking river, divided in several on surface and underground segments, hence separated from the Neretva River in significant manner regarding softmouth trout populations. However, the Vrljika softmouth trout is apparently most similar to the Neretva's subspecies, while some autapomorphies exist in the Vrljika population. The Vrljika softmouth trout appears to have originated from a vicariance that split a common ancestral population into large (Neretva) and small (Vrljika) fragmented populations. 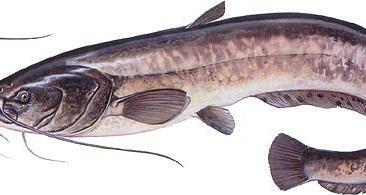 Catfish have widely been caught and farmed for food for hundreds of years in Africa, Asia, Europe, and North America. Judgments as to the quality and flavor vary, with some food critics considering catfish as being excellent food, while others dismiss them as watery and lacking in flavor. Catfish is high in Vitamin D. Farm-raised catfish contains low levels of omega-3 fatty acids and a much higher proportion of omega-6 fatty acids. In Bangladesh and the Indian states of Odisha, West Bengal and Assam catfish (locally known as Magur) is eaten as a favored delicacy during the monsoons. Catfish, locally known as thedu or etta in Malayalam, is popular in the Indian state Kerala. In Myanmar (formally Burma), catfish is usually used in Mohinga, a traditional noodle fish soup cooked with lemon grass, ginger, garlic, pepper, banana steam, onions, and other local ingredients. 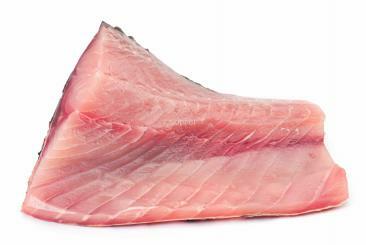 Vietnamese catfish (Pangasius) cannot be legally marketed as catfish in the United States, and is subsequently referred to as swai or basa Only fish of the family Ictaluridae may be marketed as catfish in the United States. 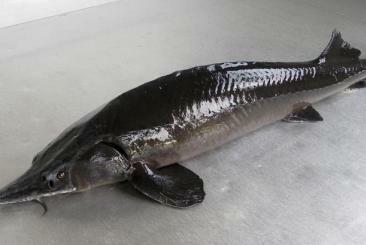 In the UK, Vietnamese catfish is sold as "Vietnamese river cobbler". The northern pike (Esox lucius), known simply as a pike in Britain, Ireland, most of Canada, and most parts of the United States (also called jackfish or simply "northern" in the U.S. Upper Midwest and in Manitoba), is a species of carnivorous fish of the genus Esox (the pikes). 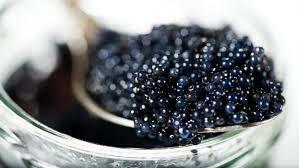 They are typical of brackish and fresh waters of the Northern Hemisphere (i.e. holarctic in distribution). Pike grow to a relatively large size: the average length is about 70–120 cm (28–47 in). Even so, lengths of up to 150 cm (59 in) and weights of 25 kg (55 lb) are very rare. The heaviest specimen known so far was caught in 1983 at an abandoned stone quarry in Germany, where the species is called Hecht. This specimen was 147 cm (58 in) long and weighed 31 kg (68 lb). The longest pike ever recorded and confirmed was 152 cm (60 in) long and weighed 28 kg (62 lb). A pike of 60.5 inches (154 cm) was caught and released in May 2004 in Apisko Lake, Manitoba. Historic reports of giant pike, caught in nets in Ireland in the late 19th century, of 41–42 kg (90–93 lb) with a length of 173–175 cm (68–69 in), were researched by Fred Buller and published in The Domesday Book of Mammoth Pike. Neither Britain nor Ireland has managed to produce much in the way of giant pike in the last 50 years, so substantial doubt exists surrounding those earlier claims. Currently, the IGFA recognizes a 25 kg (55 lb) pike caught by Lothar Louis in Lake of Greffern, Germany, on 16 October 1986, as the all-tackle world-record northern pike. The silver carp (Hypophthalmichthys molitrix) is a species of freshwater cyprinid fish, a variety of Asian carp native to China and eastern Siberia. Although a threatened species in its natural habitat, it has long been cultivated in China. By weight more silver carp are produced worldwide in aquaculture than any other species of fish except for the grass carp. 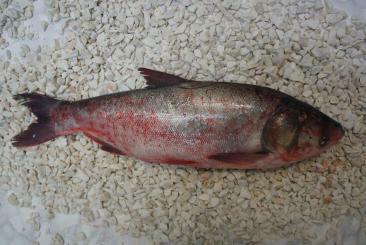 Silver carp are usually farmed in polyculture with other Asian carp, or sometimes with catla or other fish species. The species has also been introduced to, or spread by connected waterways, into at least 88 countries around the world. The reason for importation was generally for use in aquaculture, but enhancement of wild fisheries and water quality control have also been intended on occasion. In some of these places the species is now considered an invasive species. The silver carp reaches an average length of 60–100 cm (24–39 in) with a maximum length of 140 cm (55 in) and weight of 45 kg (99 lb). Much of the European eel’s life history was a mystery for centuries, as fishermen never caught anything they could identify as a young eel. Unlike many other migrating fish, eels begin their life cycle in the ocean and spend most of their lives in fresh water, returning to the ocean to spawn and then die. In the early 1900s, Danish researcher Johannes Schmidt identified the Sargasso Sea as the most likely spawning grounds for European eels. The larvae (leptocephali) drift towards Europe in a 300-day migration. When approaching the European coast, the larvae metamorphose into a transparent larval stage called "glass eel", enter estuaries, and start migrating upstream. After entering fresh water, the glass eels metamorphose into elvers, miniature versions of the adult eels. As the eel grows, it becomes known as a "yellow eel" due to the brownish-yellow color of their sides and belly. 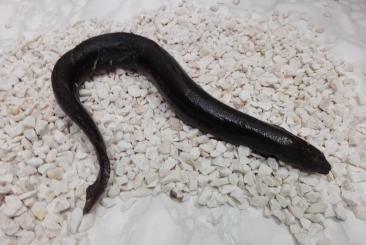 After 5–20 years in fresh water, the eels become sexually mature, their eyes grow larger, their flanks become silver, and their bellies white in color. In this stage, the eels are known as "silver eels", and they begin their migration back to the Sargasso Sea to spawn. The Nile perch (Lates niloticus) is a species of freshwater fish in family Latidae of order Perciformes. It is widespread throughout much of the Afrotropic ecozone, being native to the Congo, Nile, Senegal, Niger, and Lake Chad, Volta, Lake Turkana, and other river basins. It also occurs in the brackish waters of Lake Maryut in Egypt. Originally described as Labrus niloticus, among the marine wrasses, the species has also been referred to as Centropomus niloticus. Common names include African snook, Victoria perch (a misleading trade name, as the species is not native to Lake Victoria), and a large number of local names in various African languages, such as the Luo name mbuta or mputa. In Tanzania, it is called sangara, sankara or chenku. In Francophone African countries, it is known as capitaine and in Egypt/Sudan as am'kal. Its name in the Hausa language is giwan ruwa, meaning "water elephant". Lates niloticus is silver in colour with a blue tinge. It has distinctive dark-black eyes, with a bright-yellow outer ring. One of the largest freshwater fish, it reaches a maximum length of nearly 2 m (more than 6 ft), weighing up to 200 kg (440 lb). 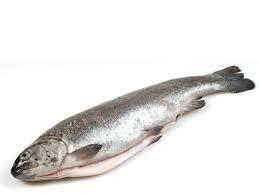 Mature fish average 121–137 cm (47.5–54 in), although many fish are caught before they can grow this large. Adult Nile perch occupy all habitats of a lake with sufficient oxygen concentrations, while juveniles are restricted to shallow or nearshore environments. A fierce predator that dominates its surroundings, the Nile perch feeds on fish (including its own species), crustaceans, and insects; the juveniles also feed on zooplankton. Nile perch use schooling as a mechanism to protect themselves from other predators. Nile perch have been introduced to many other lakes in Africa, including Lake Victoria (see below) and the artificial Lake Nasser. The IUCN's (World Conservation Union) Invasive Species Specialist Group considers L. niloticus one of the world's 100 worst invasive species. The state of Queensland in Australia levies heavy fines on anyone found in possession of a living Nile perch, since it competes directly with the native barramundi, which is similar and grows to 1.8m long while the Nile Perch grows to 2m long. 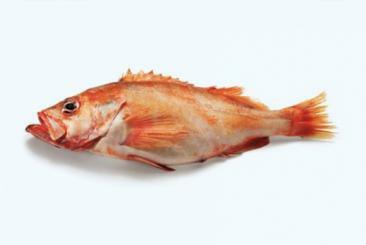 The species is of great commercial importance as a food fish. The Nile perch is also popular with sport anglers, as it attacks artificial fishing lures and is also raised in aquaculture. Redfin Perch is a perch introduced into Australia by earlier settlers in 1862. 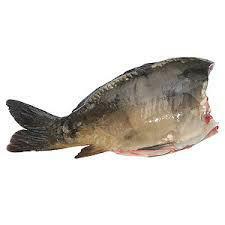 Thought by some to be a nuisance fish and others a fine fighting fish, it has been blamed (along with the European Carp) for depleting some of our native species. Redfin Perch are found through out many rivers, creeks, billabongs, dams, and swamps in southern, south-western, central and western New South Wales, through most of Victoria, and in smaller areas of South Australia, Tasmania and the southern corner of Western Australia. Particularly common in the Murray-Darling system other than Queensland.